famous structures in America because they have murky origins. Just before this year closes out, it looks like another thing will get the chop (excuse the pun), but thankfully this one is due to practicality rather than history. A tree that was planted in 1828 by then US President Andrew Jackson is being cut down because its structural integrity is fucked. 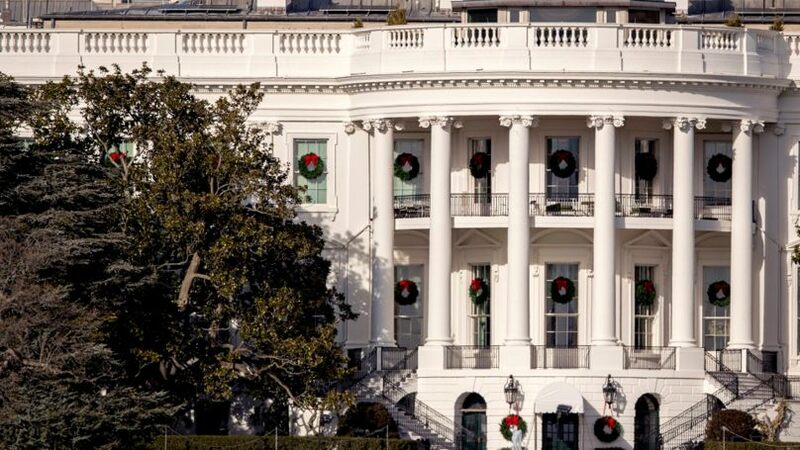 Officially called the Jackson Magnolia, the tree is fairly prominent in pictures of the White House because it sits just to the right of the famous building and towers past the second floor. Not only that, but it also featured on the American $20 note for 60 years. The magnolia is also the oldest tree on the White House grounds. Jackson's wife Rachel died shortly after his election win and the tree served as a homage to her, as the seed was taken from her favourite magnolia tree at their Tennessee home. But before you race to your keyboard to vent your rage or chain yourself to the tall tree (if you could even get through security to manage that), there's a decent reason for the tree getting lopped. According to documents obtained by CNN, the United States National Arboretum had to be brought in to look at the tree's failing health. Their report says: "The overall architecture and structure of the tree is greatly compromised and the tree is completely dependent on the artificial support. "Without the extensive cabling system, the tree would have fallen years ago. "Presently, and very concerning, the cabling system is failing on the east trunk, as a cable has pulled through the very thin layer of wood that remains. "It is difficult to predict when and how many more will fail." CNN also says the final decision was made by First Lady Melania Trump after she looked into all the information from the specialists. The tree suffered irreparable damage in the 1970s when a main trunk was removed and the hole was filled in with cement. Now, I'm no tree surgeon, but the idea of chucking cement on a living piece of nature seems counter-intuitive to me. What do I know, though? While the tree will no longer be a part of the White House vista, there are efforts being made to ensure the wood is preserved. Offshoots have been collected over the years and have are growing in greenhouses as we speak - with some growing up to 10 feet tall, according to the Daily Mail.